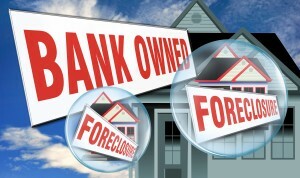 U.S. foreclosure filings plummeted 37 percent in November from a year ago and 15 percent from October, according to the latest report from foreclosure data aggregator RealtyTrac. The 113,454 properties that were served with a default notice, scheduled for auction or repossessed by a bank in November represented the biggest month-over-month drop in foreclosure activity since November 2010, when foreclosure activity dropped 21 percent after the robo-signing scandal broke. “While some of the decrease in November can be attributed to seasonality, the depth and breadth of the decrease provides strong evidence that we are entering the ninth inning of this foreclosure crisis with the outcome all but guaranteed,” said Daren Blomquist, vice president of RealtyTrac, in a statement. Only three of the 20 largest U.S. metros posted annual increases in foreclosure activity: Baltimore (up 46 percent), Philadelphia (up 34 percent), and Washington, D.C. (up 6 percent).